Because more and more consumers are requiring green materials be used in the construction and renovation of their homes, manufacturers are answering the call and producing all sorts of environmentally-friendly products. 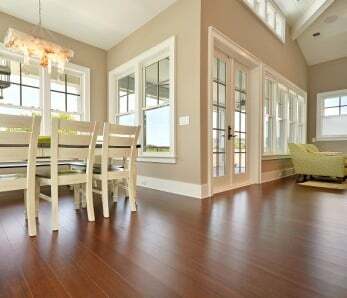 Flooring is one particular material that has seen a range of green options in the last 5-10 years. 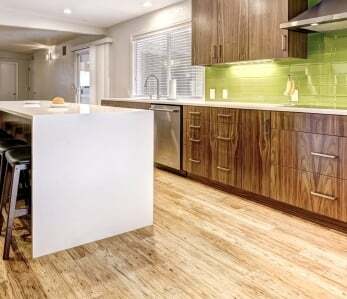 First, there was bamboo flooring – which is not only far more sustainable than hardwood floors, it is also more affordable while still being durable and beautiful. Now there is also , another attractive flooring option for those homeowners wanting something green and beautiful. Unlike bamboo, which is not a tree but rather a tall grass, Eucalyptus trees are actually, well, trees. But like bamboo, they are much more renewable than hardwood trees such as oak and maple. Hardwood trees can take as much as 50+ years to grow, whereas Eucalyptus trees can be harvested for building materials in as little as 3 years. The tree can also be grown all year round making harvesting and replanting much easier than with many other species of trees. Eucalyptus floors are also extremely durable, standing up to dings and dents. 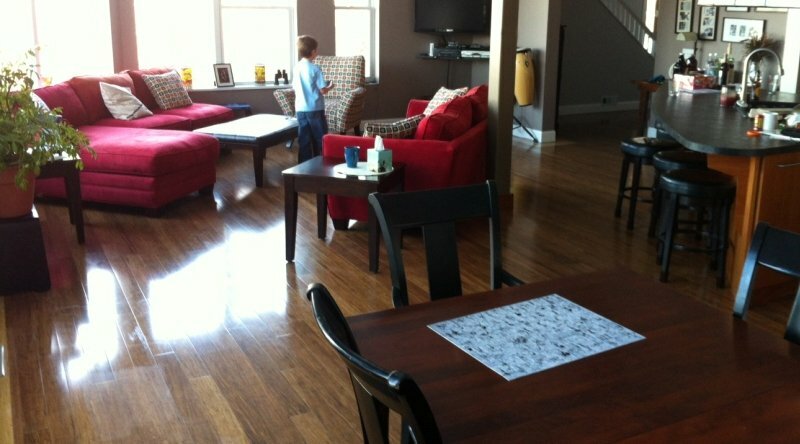 Like bamboo, certain eucalyptus flooring can actually be two times harder than red oak. That’s pretty darn hard. 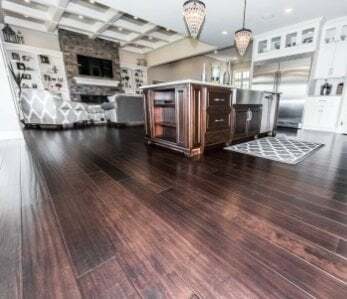 Eucalyptus flooring is also very affordable, often half the price of traditional hardwood floors, making it a great option for those homeowners on a budget. These floors come in solid planks as well as engineered planks, offering a range of widths and installation applications. 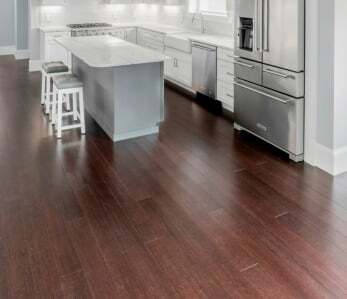 Many manufacturers are offering 25-year warranties on this flooring which tells you your floors will last a long time. This flooring is quite easy to maintain, and good maintenance all starts with simply keeping the floor clean of dirt, sand and grit by giving it a good vacuuming once or twice a week so the surface doesn’t get scratched. 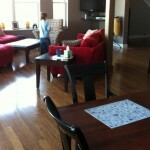 An occasional damp mopping with a gentle hardwood cleaner diluted in water is best. It should be noted that, like bamboo floors, never use wax on eucalyptus floors. It’s a good idea to have mats at all entrance doors so people can wipe off their shoes and not drag in dirt and debris from outside. Use furniture protectors under “feet” and avoid sliding furniture when moving it so you don’t scrape your floors. Like other wooden floors, it’s best to keep the humidity levels in your home at 50% to minimize contraction and expansion of the eucalyptus planks. 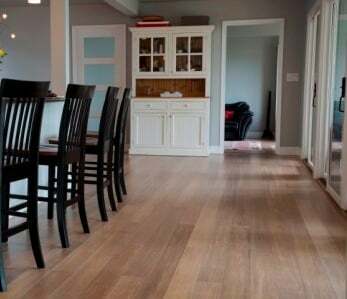 If you follow these maintenance tips, your new eucalyptus flooring will look as beautiful as the day they were installed for years to come.